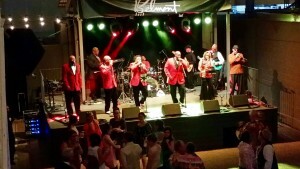 “I wanted to write a note to tell you how overwhelmed we were with the performance of the SoulSations Saturday night. We have been watching them on YouTube for a year as have the kids (who got married Saturday night). I had a few sleepless nights thinking that there was no way that the band would be as good as they were on YouTube (kind of like comparing the picture on my website to how I really look) and that we would all be let down with them at the wedding and also fraught with concern that we spent too much money on the band. A huge thank you to Soulsations! All I can say is “Absolute Perfection”! You all made our daughter’s wedding a huge success! Excellent musicians, fabulous voices, and a show like none other! We also appreciate your professionalism! I highly recommend Soulsations and RAM Entertainment!! When it came time to planning our wedding, Josh and I had few requests. We wanted all our friends and family there and we wanted a PARTY! The Soulsations definitely delivered! They knew how to get the dance floor started and how to keep it going! Within just a few days since our celebration, we have heard countless times that they are “THE BEST BAND EVER!” They played the most fabulous mix of songs, that crossed all genres and encouraged all age groups to move and groove on the dance floor! I could not have dreamed up a better band to set the stage and help us celebrate the most special day of our lives! We cannot thank them enough!!! The soulsations were unbelievable and had every guest out on the dance floor! They did any amazing job and couldn’t refer them enough. “There are not words to describe how incredible the SoulSations were! First, I want to say how very, very easy and pleasant they were to work with. They really wanted to make us happy, and boy did they!! The music was fun and never unpleasantly loud. “It’s been five months since our wedding and our first thought when we reminisce about the day is how incredible our band was. A couple months before the wedding we were warned by one of my cousins that the bride and groom never have much fun at their own receptions; she told us that as long as our guests have fun, it’s a success. Apparently, our experience was vastly different than most couples. We had more fun at our own reception than we have ever had as guests at other weddings and that is definitely a testament to the SoulSations! The band exceeded every expectation Jordan and I had! The SoulSations were captivating!! The dance floor was packed all night – nobody would stop dancing long enough to eat! Needless to say, my husband and I were eating Lebanese food for weeks. I really appreciate everything the SoulSations did from including my guests in their entertainment to overcoming the smoldering hot conditions and not taking breaks. The band completely understood how important that night was to Jordan and I and our families and made it a priority to make it absolutely perfect for us! THANK YOU!!! “The SoulSations were fabulous for our wedding reception. Everyone was dancing all night! The band did everything that we requested and even learned our first dance song! We cannot thank you all enough for helping to make our wedding so memorable. Everyone has raved about the music and performance. We will definitely keep them in mind for future events. “I just wanted to pass along my thanks to you for setting us up with the Soulsations. 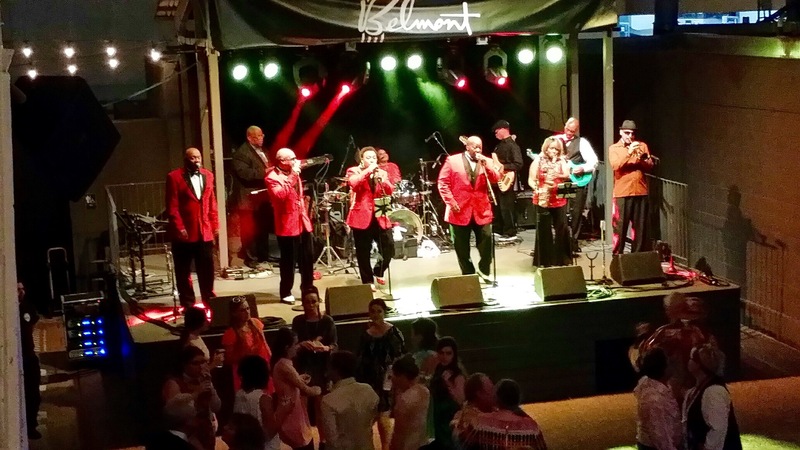 As I had let you know, we had about 100 out-of-towners in for the wedding, and they all left the party saying that they had never, ever, ever heard a more fun band than the Soulsations. They were such a hit, and really helped to make the event a success. They were just a blast. Not only can they sing, but they really know how to get people up and moving! From my 90-year-old grandmother to my 6-year-old nephew; from locals to many New Yorkers – everyone just ate it up. I would happily recommend them to anyone!!! Thanks again! “Thank you for an incredible evening of entertainment! Night of Jade on September 10th was an enormous success and SoulSations was a huge part of that. The men that make up this outstanding group are quality musicians and vocalists of course, but they are simply really kind, interesting, quality people. They were on time, looked great and sounded amazing. They managed to keep people dancing until it was time for them to quit; even then people were wishing for another set. I have worked with bands and musicians often in my professional life, and I dare say I have never dealt with a band with less attitude and a greater degree of professionalism. I would recommend this band with tremendous enthusiasm and welcome anyone to contact me if they would like more specific information. “First, thank you so much for your outstanding and attentive service. Russ was great, and very available and responsive to answer all of our questions. Top-rate service from a classy and professional organization. And the band was…INCREDIBLE!!! Everyone commented on how great the Soulsations were, and there are many, many wedding pictures of all of us dancing the night away. “Thank you Soulsations for your talent and your professionalism at our prom on Friday night! We were totally pleased!!!! Not only did they set up ahead of time but their selection of music was liked by the teenagers and the parents. Now that is a rare thing! The SoulSations were great! They actually were fabulous! We had a great time, and I can’t tell you how many guests thought they were the best band!!!! : ) We would not change anything. The band really involved our guests and were excellent singers/ players. Thank you for the great recommendation!? We were absolutely thrilled with The Soulsations! They had the crowd up the entire wedding reception. And they had us, the bride and groom, up on the stage at one point. We loved them and would 100% recommend them for any event! One of Adam’s family members stated that they felt like the they were watching the Temptations! They were PERFECT! One word: the Soulsations were FABULOUS. Everyone had a wonderful time, especially the bride and groom.T he dance floor was still packed at 12:30 AM and no one was ready for the night to be over. The band was amazing and so entertaining. It was a night we will never forget. Thank you soulsations for a memorable and fantastic wedding reception. 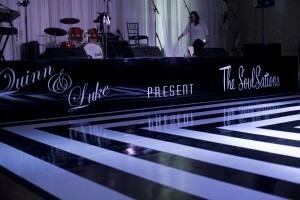 Event Services has been a part of the entertainment industry for over 30 years! Producing the World's greatest events - Any Act, Anywhere, Anytime! RAM Entertainment is the ultimate entertainment source! Please browse our site to find just what you need to make your next event a success!